Marus jester mask is hand made. 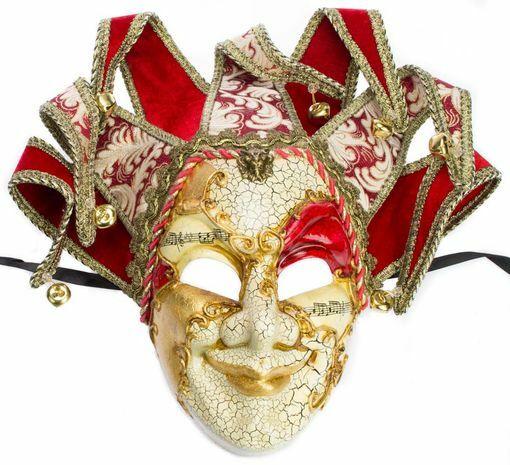 Mask is great for any masquerade ball or event. Jester mask comes with black ribbon ties.